Wash your wings in ice water. Pat dry. Then toss in the cornstarch in a bowl until coated. Heat oil in a sauce pot to 325° F.
Fry wings for 18-20 minutes until completely cooked and golden brown. Remove wings from oil, drain on a paper towel. 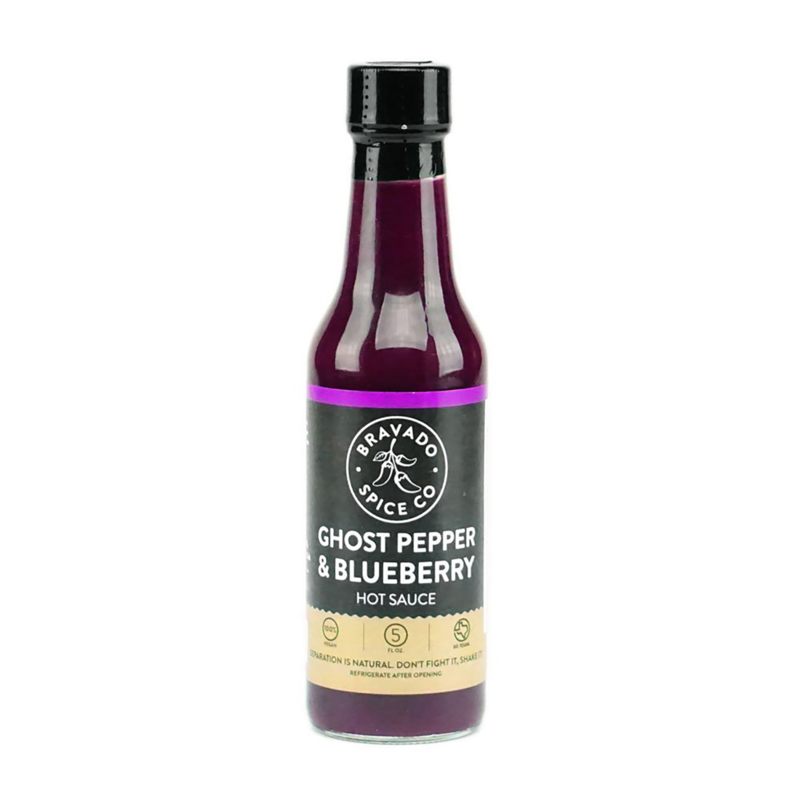 Mix the tomato sauce, minced garlic, brown sugar and Bravado Spice Ghost Pepper & Blueberry Hot Sauce in a sauce pot over medium heat until thickened. Toss the wings in a bowl with the barbecue sauce until completely coated.